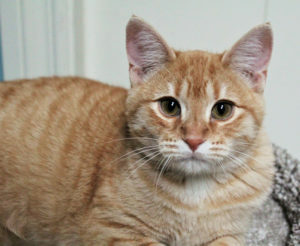 Brewster is just the right mix of cuddly and playful. 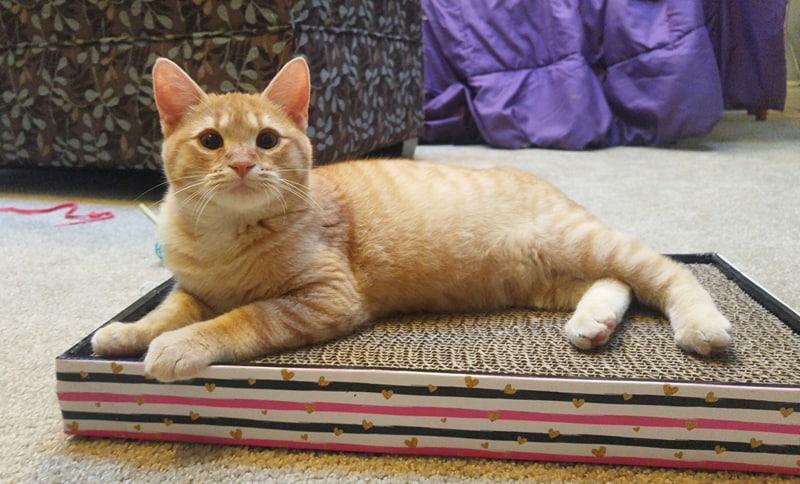 He can be very frisky and loves to play with other cats/kittens. Brewster is also happy to cuddle and even enjoys a belly rub from time to time. 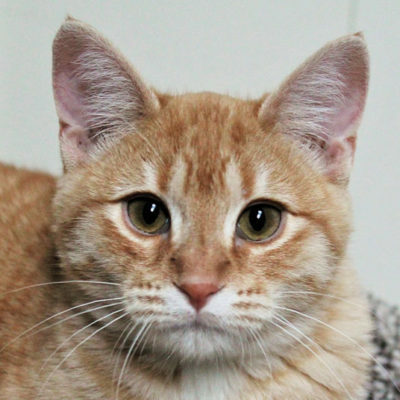 With a voracious appetite, this kitty can be full of beans during the day and would likely do best in a home where he has a feline playmate to keep him occupied.